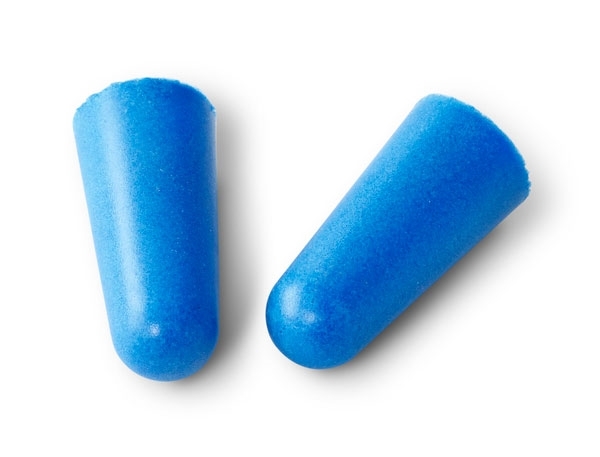 2 Pack of individually wrapped soft foam earplugs for hearing protection. Noise Reduction Rating (NRR) 32. These Individually wrapped sets of earplugs are great for storing in your range bag, vehicle, or over night bag for when staying in those noisy hotels while traveling to shooting events. You can even stuff a pair in the grip of your Magpul AR15 pistol grip in the event you forget or loose your hearing protection on your hunting excursion or trip to the range. 1) Hold earplug between thumb and forefinger, and gently roll to compress earplug. 2) Grasp top of ear and pull up and away from head. 3) Insert earplug into ear canal and release top of ear. 4) Hold earplug in place until sealed.